Welcome to our focused troubleshooting series regarding call related problems on the Samsung Galaxy Note 3. 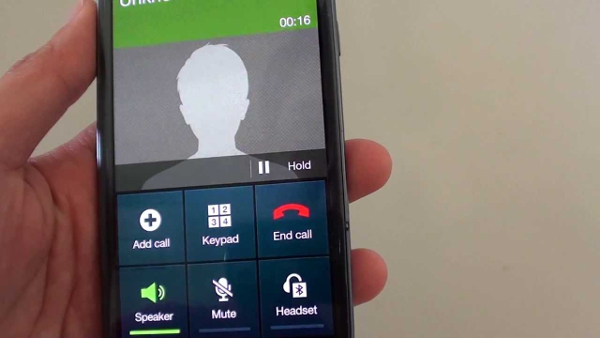 In this installment of the series we will tackle call related issues such as the phone not being able to make a call, call gets disconnected, and no sound can be heard on calls just to name a few. We will be using real world problems that owners are facing and try to provide a working solution that resolves the issue on hand. If you own a Galaxy Note 3 or any other Android device for that matter then feel free to contact us using this form or you can also send us an email at [email protected]. I however suggest using the form since it’s a much easier method. Problem: Thank you so much for offering to help me. I’m using a Note 3 and I love it!!!! It’s up to date on the operating system. My only problem is that the past 10 to 12 months I’ve been getting a lot of spam calls. They come from all over, Florida, New York, California, etc. I live in Arkansas. I don’t answer them because I don’t recognize the numbers. It usually goes to voicemail. What can I do to stop them. I think I’m getting them more and more. Solution: What’s happening here is that your number may be listed in a database that telemarketers are using. you can try to block these numbers that make spam calls however this is only a temporary solution since we all know that telemarketers can always switch to a different number. You should also contact your carrier regarding this issue. They may be able to provide you with a solution to filter out spam calls. One option that they may provide you is to give you a new number. Finally, you should consider registering your number on the National Do Not Call Registry at donotcall.gov. Most legitimate marketers will not call your number once it is in the list. Solution: The first thing to consider is if your phone is getting a stable 3G signal. Try to check first if this issue occurs in just one particular area or in other areas as well. This allows you to determine if the issue is network related. If there is no problem with the 3G signal then try clearing the cache and data of the Viber app. You should also consider uninstalling the app then downloading a fresh copy from the google Play Store. If the issue persists then proceed with wiping the cache partition of your phone. When ‘GALAXY Note 3’ appears on the screen, let go of the Power key but continue to press and hold the Volume Up key and the Home key. When the Android System Recovery screen appears, release the Volume Up and Home keys. Press the Power key to select and wipe the cache. With ‘reboot system now’ highlighted, press the Power key to restart the device. Solution: The first thing you should do is to check if this problem is network related. You can do this by placing calls in different areas (from your home, mall, or office). You should also confirm if there are any network related activities by calling your carrier. Once you have cleared the network it is time to troubleshoot the phone. Since this issue occured right after the Lollipop update then the best thing to do right now is to perform a factory reset. Make sure to backup your phone data before proceeding. When ‘GALAXY Note 3’ appears on the screen, release the Power key but continue to press and hold the Volume Up key and the Home key. Press Power button to select and start the master reset. When the master reset is complete, ‘Reboot system now’ is highlighted. Press the Power key to turn the restart the device. Problem: i, My name is Zach and I just bought the Note 3, I had troubles activating it but I finally got the guy at Verizon to help me out for once and it seemed to work. Until I got home. Now after the update, I can’t get it to send or receive phone calls. It used to say “mobile service not available”, now it says “dialing” but it never connects and says call disconnected. Any ideas as to what it is? Any help will be greatly appreciated. Solution: Try to restart your phone first. Once your phone is turned on check if it is getting any network signal. If the phone has a signal try to make a call. If it still says dialing and never connects proceed with wiping the cache partition of your phone. If the issue persists proceed with backing up your phone data then do a factory reset. Problem: Hi I was hoping you might be able to help me, I have a problem with my Samsung Galaxy Note 3, when I make or receive a call I can hear the other party perfectly but they can’t hear me unless I have my phone on speaker. This occurred all of a sudden, I’ve had my phone on close to a year and only been doing this the past week or so, is there any solution I can do myself or must I take the phone in for repairs? Thanks in advance for any help. Solution: Try to check your phone settings first. Is the Bluetooth of your phone turned on? If it is then turn it off. Check also if there is a headphone icon on your phone display. Even if no headphones are attached and if this icon is present your voice may not be heard by the other party. If this is the case then insert and remove your headphones on the phone a couple of times until the icon disappears. Next, to check if this issue is caused by a certain third party app installed in you phone you should start your phone in Safe Mode. When ‘GALAXY Note 3’ appears on the screen, release the Power key. Immediately after releasing the Power key, press and hold the Volume down key. Make a call in this mode and if you can be heard then the issue may be caused by an app. Find out what this app is and uninstall it. If the issue persists then restart your phone in normal mode. Open your voice recorder app and record a short voice clip. Playback the voice clip. If you can hear the recording then there is no problem with your phone microphone. If however you can’t hear your voice then the microphone may be damaged. If this is the case then you should bring your phone to an authorized service center and have it repaired. Before bringing your phone for repairs it is always good to perform a factory reset first. Make sure to backup your phone data before proceeding. Problem: Hi, I have a problem with my Note 3. I recently upgraded it to Lollipop. Everything works fine except when making or receiving a phone call, it doesn’t show the contact name, just the number. The contacts are fine, I can find whoever by name and the number is populated in the right field (mobile). When I hit dial, then it comes to the dialing screen, but it shows the number only and not the name. Same thing if someone calls me. I only see the number no the name of the person is calling me. Funny thing if you go to the call log the phone actually registers this calls by the contact name. The problem just happens when you are in the “calling window” when you are actually making a call. I tried as found in other forums to delete the contacts and contacts information in the app manager and then re sync the contacts from the google account but still same issue. Resetting the phone doesn’t work either. I hope you can help me. Thank you. Solution: Try to check if this issue also occurs even if your phone is in Safe Mode. If the problem does not occur in this mode then it may be caused by a third party pap. Find out what this app is and uninstall it. If the issue is still the same then backup your phone data and do a factory reset again. This time don;t sync your phone data and don’t login to your Google account yet. Save one number in your phone manually then try calling it. If the name appears then the problem may be with the synced contacts data. Feel free to send us your questions, suggestions and problems you’ve encountered while using your Android phone. We support every Android device that is available in the market today. And don’t worry, we won’t charge you a single penny for your questions. Email us at [email protected] or contact us using this form . We read every email but can’t guarantee a quick response. If we were able to help you, please help us spread the word by sharing our posts with your friends. Hi everyone. My Note 3 is acting really weird. I can place regular calls, but neither me or the other party hear anything. I know it’s not the mic or speakers because other calling apps work. I read somewhere that the FB messenger could be at fault,I uninstalled it and it work. For a little bit. A reboot usually took care of it, until it didn’t. So yesterday I did a factory reset, and it worked. Until it didn’t.Again! I thought it might be the Sim, so I put a different one in. Nothing. Weirdly enough, if I call my own number I can hear a busy tone an everything. Not when I call or get other calls. I’m getting a little desperate now, because I know it’s not hardware related. Anybody has been through something like it, or do you have other ideas I can try? I am having the same problem in my note 3 sm n900 v. It is realli irritating now…Going throught this problem for last 7 mnths. Reset – works for sometimes then problem continues. Hard Factory Reset : work for sometimes then again problem continues. Updated to 5.0 lollipop – did not solve the issue. Any help? Can this be due to the bad sim card reader or ic fault? When I make a call altoparlant activates by itself . Hi, I have Samsung note3. Whenever I am using the headphone for any call then the call gets disconnected as the app is stopped working. Is the issue with headphone or with note 3. Hi I was hoping you might be able to help me, I have a problem with my Samsung Galaxy Tab 3, when I make or receive a call I can hear the other party perfectly but they can’t hear me when I have use headphone or put my phone on speaker. This occurred all of a sudden, I’ve had my phone on close to a year and only been doing this the past week or so, is there any solution I can do myself or must I take the phone in for repairs? Thanks in advance for any help. When I swipe my Samsung Galaxy Note 3 to answer a call, it cuts off the call. I have to call the person back. There is a red circle with a line thru it that shows beneath the phone icon on the screen. This has been happening for several days. I have checked all of my settings. I called Verizon tech support. They tried but it keeps going back to now allowing me to answer. I think somehow the phone is locked. I don’t understand the lock phone settings. Please help. I use my phone for business calls. I am using Hands Free mode so I hear who is calling as we are on our sailboat and the engine makes alot of noise. What can I do? I just started having the same problem. The number for outgoing calls disappears when pressing the send button. I already cleared the partition cache. HELP! I have a note 3, I can receive calls but when I try to make a call the number that I am dialing appears but when I press the send button the number disappears and looking at an empty dial screen.